My name is Mick Flanagan and I am the creator of Midland Angling. 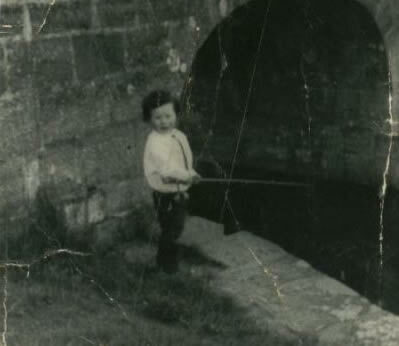 I have being obsessed with angling from a very young age and started fishing on the Royal Canal quite young. As you can see from the photo nothing has really changed with Mick of Midland Angling except that he is gone quite gray as the years drifted past. Having spent my younger years on the Royal Canal and Brosna River which flows just yards from my home place, it was time to hit the huge Lakes of Westmeath. As a school boy I spent my summers camping out on these magical waters and still to this day enjoy every trip out on Owel, Ennell, Derravaragh, and Lough Lene. Sheelin is another lake that comes to mind as does Mount Dalton, and Glore, plus the Mighty Lough Ree, which I fish hard when the time is right. The River systems that trickle through Westmeath are also top class fisheries, and the Inny has produced some fine specimen pike and trout on a yearly bases. Having guided some of Irelands top anglers and photographers who encouraged me to start writing about my adventures on the waterways, I have in recent years started writing for Irelands top angling magazine Irish Angler. Here you can catch up on Flanagan Forays monthly where I travel across Ireland fishing competitions on various waters and the high sea. Along with Irish Angler I write a weekly report for Westmeath Topic here in Mullingar, and every Sunday an angling slot in Sunday World. So all year round I am on top of the angling here in Ireland. Now we are casting our lines out on the World Wide Web, and you can also be on top of the angling scene.